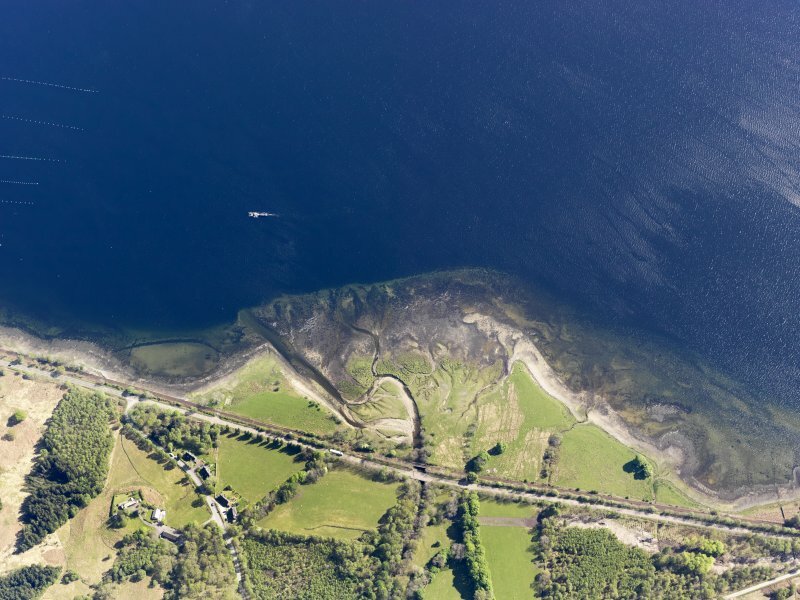 General oblique aerial view of Fassfern House and the remains of the fish trap, taken from the NNW. 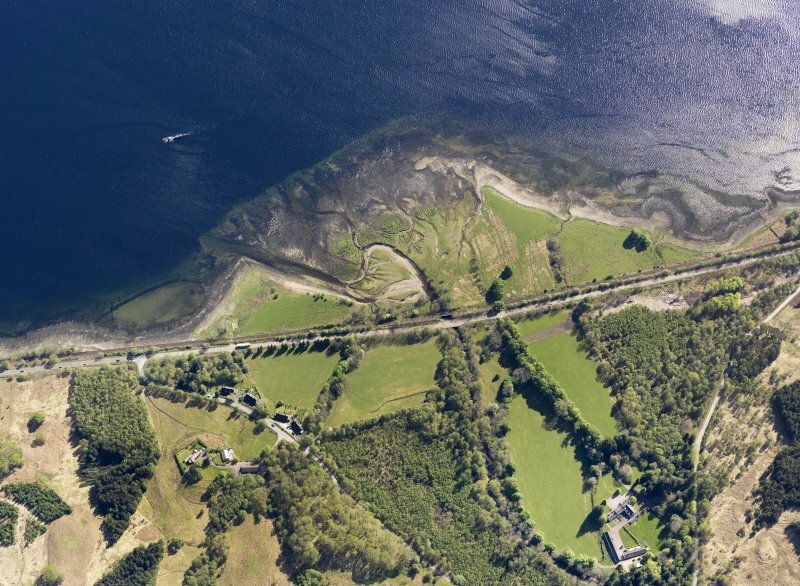 General oblique aerial view of Fassfern House and the remains of the fish trap, taken from the NNE. 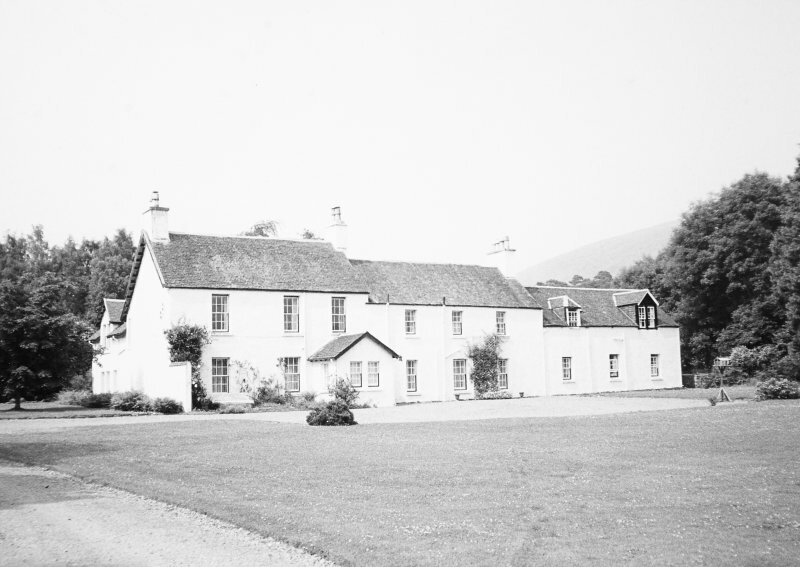 Fassifern House, c.1770 Originally a two-storey, three-bay house with garrets, possibly incorporating its predecessor, later elongated with three-bay flanking ranges to resemble a stepped terrace of three, all harled, slated and glazed with 12 -pane sashes in the traditional manner. 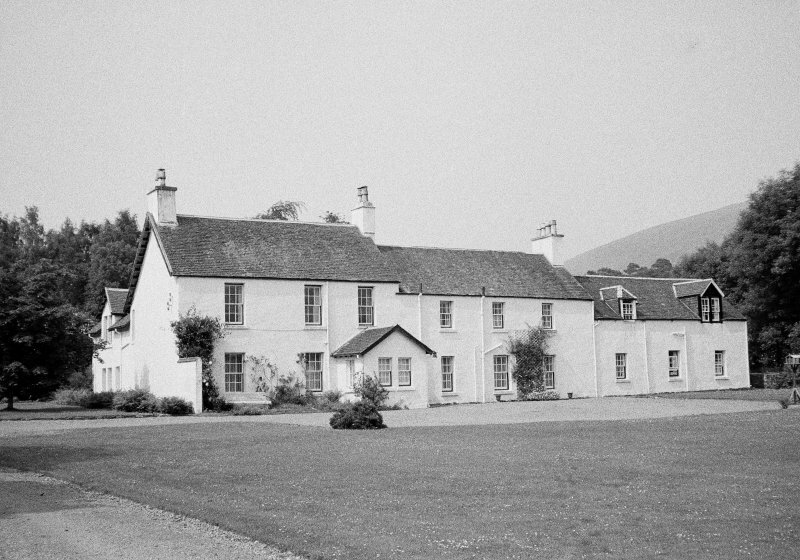 Joseph Mitchell, visiting in 1837, described Fassifern as 'a fair specimen of a Highland country gentleman's farm residence sixty or seventy years since - doors and shutters of original pine unpainted, and the paper on the walls bearing evidence of the moisture of the Lochaber climate'. An old tree-lined avenue, half forgotten, leads down towards Loch Eil. 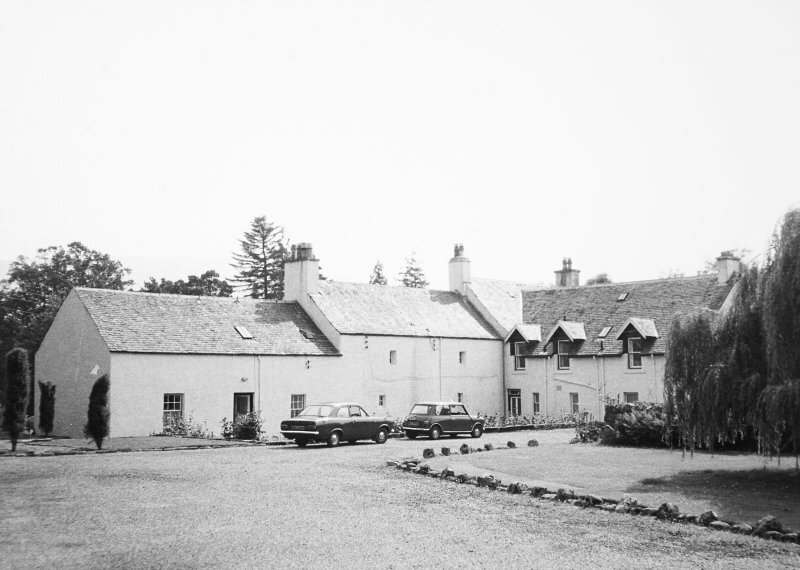 In 1772, the tenant John Cameron had 'a peat barn-a byre, stable and brewhouse, these 4 under one roof, a kiln, mill, barn and sheep house all with stone and thatch with ferns'. In the garden at the back of the house his fruit trees were 'thriving well'.